A Pakistani neuroscientist convicted of trying to kill American agents during her interrogation has been jailed for 86 years despite protestations she is mentally ill.
Aafia Siddiqui grabbed an assault rifle while she was detained for questioning in Afghanistan’s Ghazni province over terrorism matters and tried to shoot FBI operatives and soldiers. The case had attracted significant attention and protests in Pakistan where the 38-year-old mother-of-three was touted by human rights groups as an innocent martyr. Her lawyers claimed that the string of outbursts during the trial and her erratic behaviour proved she was mentally unwell and that she should only serve 12 years. But prosecutors convinced a court that she was in fact a serious threat and at Manhattan’s District Court Judge Richard M. Berman told her that a ‘significant incarceration is appropriate’ meaning she will likely die in jail. She repeatedly told supporters in the gallery not to fight in her name and that she was being well treated. ‘I am a Muslim, but I love Americans too,’ she said during one of her rambling speeches. The sentence brought to an end a peculiar case which proved she wanted to kill Americans yet left lingering doubts about her state of mind. Siddiqui was arrested in July 2008 by Afghan police, who said she was carrying containers of chemicals and notes referring to terror attacks. She was shot in the stomach by return fire and after recovering was brought to the U.S. for trial. In court prosecutors made out that she was a ‘cold, calculating jihadist who set out to harm American troops by any means necessary’. They quoted from notes she was carrying at the time of her arrest referring to ‘a ‘mass casualty attack’ … NY CITY monuments: Empire State Building, Statue of Liberty, Brooklyn Bridge,’ and another musing how a dirty bomb would spread more fear than death. They claimed the notes, along with the fact that she was carrying sodium cyanide, showed she wasn’t an accidental menace. According to Siddiqui’s legal team, however, her behaviour was a spontaneous ‘freak out’ born of mental issues rather than Islamic militancy. Siddiqui’s rambling courtroom rants proclaiming her innocence and offering odd solutions for Middle East peace ran counter to the prosecution’s portrait of her. Testifying in her own defence while wearing a head scarf, she claimed she was tortured at a ‘secret prison’ before her detention. Among Saddiqui’s possessions at the time of her arrest was a computer disk with an essay she’d written about feminism and her struggles as a Muslim woman living in America. 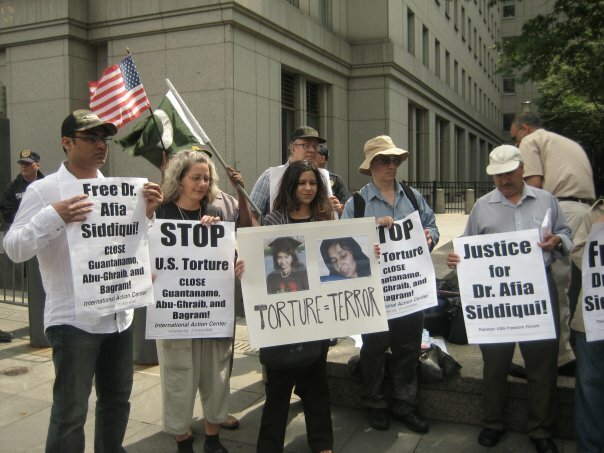 Siddiqui trained at the Massachusetts Institute of Technology in the U.S. in the early 1990s and, according to prosecutors, returned to her native Pakistan in 2003 after marrying an al Qaeda operative related to Khalid Sheikh Mohammed, the mastermind of the September 11, 2001, terrorist attacks. 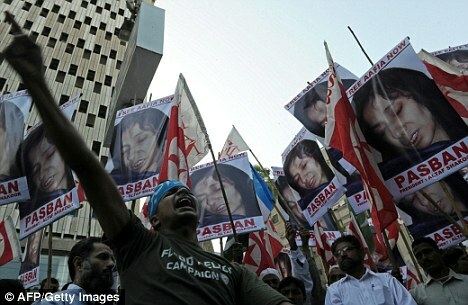 News of her sentence sparked protests in Karachi whilst others demonstrated outside the courthouse. Though she was not convicted of terrorism, the U.S. government argued that Siddiqui is a cold-blooded radical who deserves a ‘terrorism enhancement’ under federal sentencing guidelines that would guarantee a life term. Siddiqui, 37, was convicted of attempted murder, though the crime was not found by the jury to be premeditated. She was also convicted of armed assault, using and carrying a firearm, and assault of U.S. officers and employees. The defendant—a spindly neuroscience specialist who trained at the Massachusetts Institute of Technology and Brandeis University—”is no shrinking violet,” Assistant U.S. Attorney Christopher La Vigne said in closing arguments. “I was never planning a bombing! You’re lying!” she yelled while an Army captain testified. In her closing argument, defense attorney Linda Moreno accused the prosecutors of trying to play on the jury’s fears. During the two-week trial, FBI agents and U.S. soldiers testified that when they went to interrogate Siddiqui at an Afghan police station, she snatched up an unattended assault rifle and shot at them while yelling, “Death to Americans.” She was wounded by return fire but recovered and was brought to the United States to face charges attempted murder, assault and gun charges. “I operated within the rules of engagement to eliminate the threat,” he said. “I wanted to get out. … I was afraid,” she said. 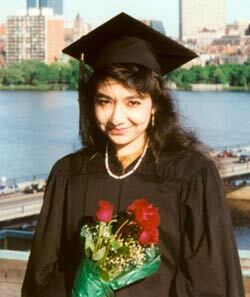 NEW YORK, Feb 03 (APP): A New York jury deliberated for several hours on Tuesday without reaching a verdict in the case of Pakistani neuroscientist Aafia Siddiqui, who is charged with attempted murder of FBI agents and US military personnel in Afghanistan. The deliberations are scheduled to resume on Wednesday, at the end of which a verdict is expected. But no one could with certainty that the 12-member jury would return a verdict. Ms. Siddiqui’s case went to the jury after more than two weeks of trial in a Manhattan federal court. She is accused of grabbing a US warrant officer’s M-4 rifle in a police station in Ghazni, Afghanistan in July 2008 and firing two shots at FBI agents and military personnel, who had gone there to interrogate her. The prosecution alleges she emerged from behind a curtain and fire two bullets before she was shot by the chief warrants officer. Before adjourning Tuesday afternoon, the jury went over the testimonies of Ms. Siddiqui, Captain Robert Snyder of US Army, who accused her of picking an unsecured gun and firing two shots; FBI Special Agent Gordon Hurley, who was first to inspect the crime scene; and two Afghan police officers—Abdul Qadeer and Bashir. The jurors also examined the M-4 rifle that Ms. Siddiqui is alleged to have brandished at US personnel. Last week, Siddiqui testified she was concerned about being transferred to a “secret” prison by the US forces and was trying to slip out of the room when she was shot. “I’m telling you what I know. I walked toward the curtain. I was shot and I was shot again. I fainted,” she said. Siddiqui’s lawyer Linda Moreno said during closing arguments Monday that the “science” supported her testimony that she didn’t touch the weapon or fire it. “Where are the bullet holes? Did the Afghanis take the bullet holes? 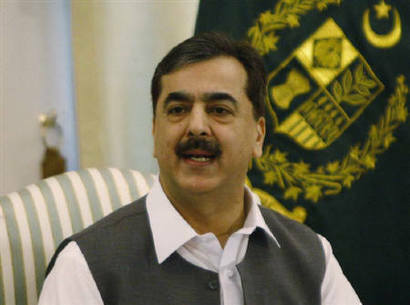 There is no physical evidence that an M-4 rifle was touched by Dr. Aafia Siddiqui, let alone fired”, Moreno said. Some legal experts believe that by testifying before the court against the advice of her lawyers and family, Ms. Siddiqui may have complicated her case. This was clear from the way the prosecution on Monday picked holes in her testimony, accusing her of lying planning to destroy New York City landmarks. 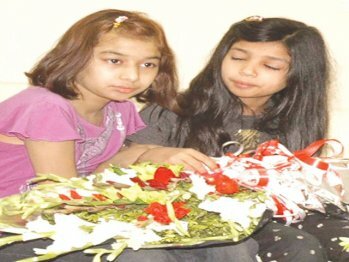 Ms. Siddiqui vanished in Karachi with her three children on March 30, 2003. US officials allege that she was seized on July 17, 2008 by Afghan security forces in Ghazni province and claim that documents, including formulas for explosives and chemical weapons, were found in her handbag. She has been brought to the United States to face charges of attempted murder and assault. Siddiqui faces 20 years in prison on the attempted murder charges and life in prison on the firearms charge. However, human rights organizations have cast doubt on the accuracy of the US account of the event. As closing remarks came to an end and jury deliberations began in the trial of female Pakistani. 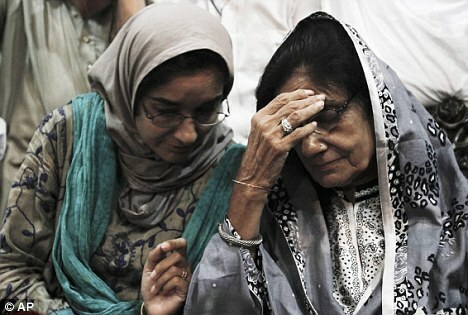 Dr. Aafia Siddiqui, who faces 7 count assault and attempted murder charges in a New York Court room, for an alleged shooting incident in Ghazni Afghanistan, many spectators are wondering if it is possible for her to have a fair trial in post 9-11 America. Although she is not charged with terrorism, the Prosecution was able to make that claim the underpinning of its entire case, due in large part to Judge Richard Berman’s decision to allow into evidence documents found in Dr. Siddiqui’s possession which include handwritten notes about “how to make a dirty bomb” and plans to cause “mass casualties” in the United States. The defense Attorney, Charles Swift said it was a legally “flawed” decision and will be the basis on an appeal if Dr. Siddiqui is not acquitted. The Prosecution characterized Siddiqui as a highly intelligent yet shrewd and cunning manipulator who carefully “planned her defense”. He described how she “ducked” and “dodged” questions referring to her answers about the year she was born and her son who was found with her. During her testimony Dr. Siddiqui was asked if she was born in 1972. Her response was “If you say so” , then when on to explain how can anyone recall when they were born. Later, she was asked by Jenna Dabbs if the boy she was with was her son. She again couldn’t answer directly claiming that she only saw pictures of him so she didn’t know for sure. Though many legal observers found her answers quite logical, it would be difficult for the jury to understand this without being informed of her claims of being in held in a secret prison for 5 years. The prosecution then addressed the inconsistencies in the eyewitness testimonies as analogous to a car accident, in which different people would have different accounts of what happened prior to the accident as their “focus” would be on different things, but during the accident everyone’s focus would then “shift” to the sight of action and then perspectives would converge. Later during the rebuttal phase of the closing, the prosecution argued that the inconsistencies were proof that the accounts were truthful. “They didn’t get together” and make sure their stories matched. “There was no grand conspiracy to convict this woman.” If they wanted to do that “why didn’t they simply plant some evidence” at the crime scene. They were responding to the closing remarks made by the defense in which Linda Moreno argued that the ‘bond” between soldiers on the battlefield who must “protect each other”, influenced the testimonies of the government witnesses. She pointed out that their testimonies not only conflicted with each other’s but with their own earlier signed statements. Moreno tried to get the jury to focus on the science and the forensic evidence. “there’s only one witness who’s impartial” and who “doesn’t have a dog in this fight”, and that is the room she said, the 26 X 12 ft room, 300 square feet with 10-120 people. She reminded the of the complete lack of physical evidence, no bullets, casings, bullet holes, gun shot residue. 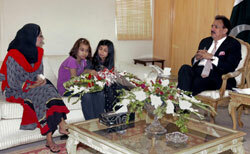 No one else was hurt except Aafia Siddiqui in this small crowded room where the M4 rifle allegedly went off. She responded to the government claim that the Afghans took the evidence, by pointing out that they (the Afghans) were the ones who alerted the Americans to her in the first place. Jury in Dr. Aafia Siddiqui trial is likely to begin deliberations Monday afternoon after prosecution and defense attorneys make closing statements. In a taped video deposition presented by defense on Friday, Bashir, an Afghan police officer testified that he saw an American officer walk behind the curtain just before he heard gun shots, and that he never saw Dr. Siddiqui pick up a gun. Bashir was the last defense witness. Earlier in the day Judge Richard Berman allowed prosecution to produce additional witnesses to rebut claims made by the defense witnesses and experts. With lack of physical evidence and burden of proof – the Government has to demonstrate with mathematical certitude that Dr. Siddiqui grabbed the Chief Warrant Officer’s M4 Assault Rifle and fired at United States officers and employees in Ghazni, Afghanistan on July 18, 2008. A point of possible contention was raised Friday when Bashir testified there were two shell casing found in the room. Government has produced only one .9mm shell casing as evidence during the trial. The prosecution offered rebuttal witnesses, intended to respond to the evidence presented by the defense. First, the prosecution called a firing range owner, Gary Woodworth, who testified that he remembered Dr. Siddiqui coming to the shooting range 19 years ago. However under cross examination, Mr. Woodworth also admitted that there were no records of Dr. Siddiqui ever having visited the shooting range, and that even if she had, it could have been as part of her physical education requirements at MIT. Mr. Woodworth also acknowledged being a member of the National Rifle Association and having very close relationships with law enforcement officers. He also admitted that the course he alleged she came for is a very basic training pistol course. When asked by a defense attorney if he remembered the student he taught before Aafia he said, “no”; if he remembered the student he taught after Aafia, he said “no”. The prosecution then called FBI Special Agent Bruce Kammerman, who testified that while recuperating at Bagram Airbase hospital, Dr. Siddiqui had told him that she had picked up the gun because she wanted to scare people in order to ease her escape. However, on cross-examination, Agent Kammerman admitted that his original handwritten notes about the conversation did not mention anything about “picking up” the gun, but only Dr. Siddiqui’s desire to escape, and that the reference to the gun was added only in the final typed report. Kammerman testified that during the conversations she was “lucid”, but he was not aware of what medications she was on and did not inquire about them. He testified that he addressed all of her needs for food, water, and bathroom use during his 12 hour daily shifts monitoring her. In Aafia Siddiqui’s direct testimony during her time at the hospital she said that Bruce’s presence was “torture” for her as he would cross examination, Kammerman conceded that when she needed to go to the bathroom he did insist that the door be open for “security”. According to Siddiqui’s testimony, he would stay all night and because of this during his entire 12 hour shifts she could not go to the bathroom. The Prosecution then brought the other FBI agent who monitored Dr. Siddiqui while in the hospital, Angela Sercer. Sercer is a female Special Agent who also kept 12 hour shifts every day that Siddiqui was at the hospital. She offered similar testimony to Kammerman, however, acknowledged that Siddiqui was on a wide variety of medications including, morphine, ativan, haldol, phentinol, and percocet; still she maintained that Siddiqui was “lucid”. According to Siddiqui Angela seemed like a “nice person” Both Sercer and Kammerman testified that their purpose in being with Siddiqui was for “security” and to “gather intelligence” about matters unrelated to the shooting incident. They both also testified that Siddiqui initiated the conversations. If neither of these fact were accurate then Miranda Laws would apply and these alleged self-incriminating statements would not be admissible in court. According to Miranda laws an arrested individual must be advised of their rights including the right to an attorney and/or consular staff, and right not to speak. Also, law enforcement officals must identify themselves. Although Siddiqui was not read her Miranda rights and FBI officals did not identify themselves, the judge has allowed their testimony. Thursday had marked a turning point in the trial of Dr. Aafia Siddiqui, who decided to take the witness stand in her own defense. She declared under oath for the first time that she “was tortured in a secret prison” and that her missing children are all that has been on her mind every day. Dr. Siddiqui denied ever having shot at anyone, and appeared to remain unshaken even under intense cross-examination by the prosecution. She explained that she was shot by US soldiers while attempting to peek around the curtain partition in the interrogation room, while looking for a way to escape. Before her testimony was cut short by the Judge, Dr. Siddiqui mentioned that her fear of being sent back to a secret prison had made her anxious to escape.